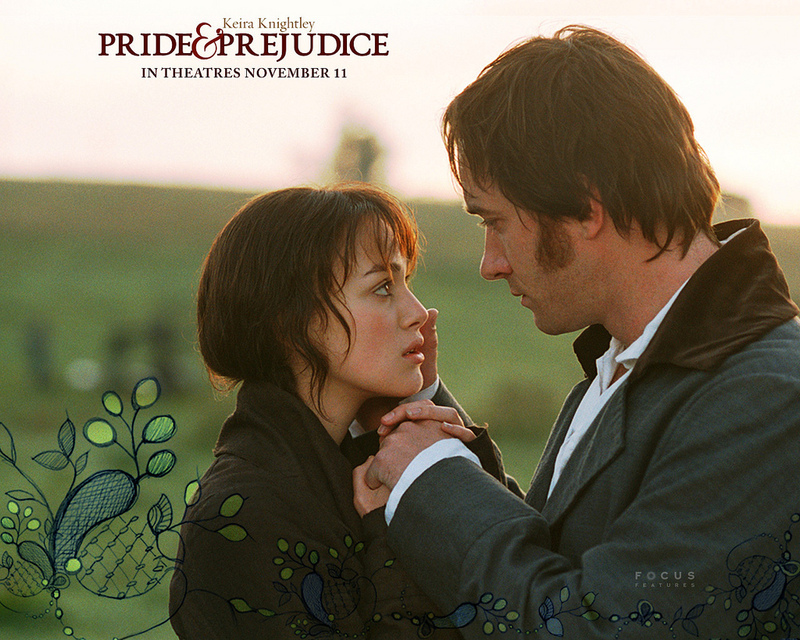 Arguably one of my favourite films of all time and what makes me even happier watching the 2005 adaption of this romantic classic by Jane Austen is that the majority (not all – my only critique of the film) of the plot has remained true from the book to the screen. This is just a minute-by-minute documentation of my thoughts throughout this masterpiece. Mrs Bennet is the most irritating character in this film. Scratch that, we’ve now met Lydia and gosh is she irritating! Elizabeth Bennet, what a sassy, little trooper! You give that Mr Darcy what for! Mr Bingley is adorable! I just want to squeeze his cheeks! We need more balls or public dances, I need an excuse to dress up fancy and do ballroom dancing. Jane is perfect and wholesome and I want to be her friend. Why is Mrs Bennet fine with the fact one of her daughters could have died for the sake of a man?! Eugh, patriarchy. Mr Collins makes me physically uncomfortable watching him from a distance. I am willing Jane and Lizzy to leave, sacrifice Mary, Lydia and Kitty for Christs sake! Charlotte is marrying Mr Collins….whaaaaa?!?!? Bingley is leaving?!? Bloody evil sister to go breaking Jane’s heart. My nerves are fraught at this point. Please dear God, tell me Darcy did not break up Bingley and Jane?? Myself and Lizzy have just started to like him. Colonel Fitzwilliam, why? You are a stellar guy, but the bearer of bad news indeed. Mad at Mr Darcy right now, but that was the most beautiful and poetic confession of love I have ever heard. OH MY GOSH ARE THEY GOING TO KISS AFTER SHE JUST REJECTED HIM?? PLEASE SAY YESSS!! Why didn’t they kiss? WHY? Oh, trip to the Peak District, lovely! Pemberley? They’re going to see Mr Darcy! Oh Lizzy lurrrvvessss hiiiiim. THEY CLEARLY LOVE EACH OTHER PLEASE STOP THIS IS TORTURE. Lydia what the hell? Please with slimy, little Wickham and never come back. Bingley is back! All is well! Propose to Jane, say it, please I can bear it no longer. Oh, ey up, who is this tall, dark and handsome figure wandering across the Moors at this early hour? ‘You’re hands are cold’? Seriously, Lizzy, for an eloquent and educated young woman I expected so much more of a response to THE LOVE OF YOUR LIFE! DARCY AND LIZZY ARE TOGETHER! So, cinema fans, clearly Pride and Prejudice is the light-hearted film you want to be watching to give you that pick-me-up and not an emotional rollercoaster at all! On a serious note however, I recommend this film so much because it’s incredible and the romantic storyline in it is just wholesome.